Carolina Day School is situated in the heart of George Vanderbilt's lush forest, on land donated to the school by his descendants. We are Asheville. 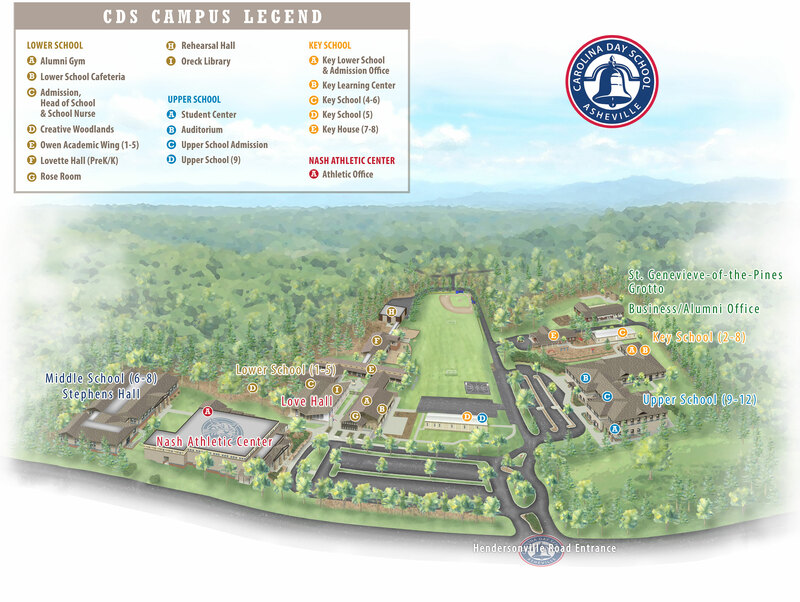 Our school has "grown up" here, among the Blue Ridge, and matured into the region's top independent day school. Are you Asheville Bound? Find out more about Asheville and western North Carolina here. Carolina Day offers bus service through Emma Bus Lines for our students. There are two bus routes: a North Asheville route and a South Asheville route.